LONDON -- The spiral of white lines as the battery on an iPhone dies is one of the most frustrating images in modern life. No more Crossy Road, no more Snapchat, no more social life. Now imagine if the same image appeared on the dashboard of your car, leaving you stranded miles from the nearest power source. This is the challenge facing Apple as it embarks on what is the most difficult task in the company’s history -- designing and building an electric car from scratch that can meet its own exacting standards while having enough power to get drivers where they need to go. The key to any electric car is its battery. It is the single most expensive component and is the biggest factor in the consumer purchasing decision when it comes to electric vehicles. Just like smartphone batteries, advances in automotive battery technology over the last five years have been incremental at best. We have had numerous “breakthroughs” that promised to allow us to drive from San Francisco to New York on a single charge -- such as those from Envia Systems and the cautionary tale of A123 -- but all have fallen short when it came to delivering on their promises. Despite the high cost of batteries and lack of real advances in technology, Apple’s reported decision to go down the electric car route -- not yet formally confirmed by the company -- was probably not a difficult one for CEO Tim Cook, Jony Ive and the team they have assembled to produce the company’s first ever car, which the Wall Street Journal reported will be introduced in 2019. Bringing an electric car to market for a new manufacturer is a lot easier than introducing a gasoline or diesel-powered vehicle because of regulatory issues. The difference was highlighted this week by the scandal surrounding Volkswagen’s falsified diesel emissions reports, which resulted in the company’s CEO resigning. “Getting a petrol or diesel engine signed-off in various markets is much more complex than it is for an electric vehicle as you have to meet the emissions standards that are required by each of the markets you sell it in,” Dave Greenwood, an expert in automotive battery technology at Warwick University in the U.K., told International Business Times. Having gone down the electric car route, Apple’s next big decision would be choosing what type of battery will power everything from the wheels to the in-car infotainment -- and that choice will influence what type of car Apple makes. When it comes right down to it, Apple has only two options. The first is the easy choice -- pick an off-the-shelf solution, bolt it into Apple's shiny new car and accept the limitations of today’s car battery technology. 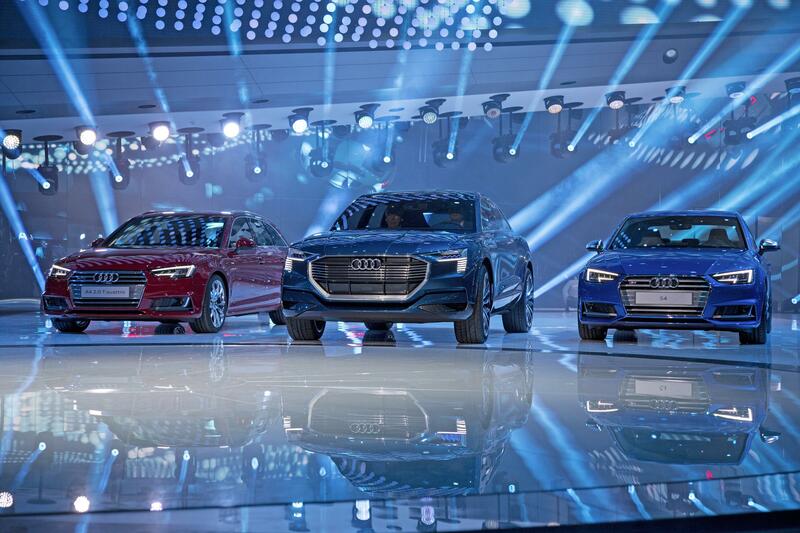 The second would be to design and build its very own battery technology, which would require an order of magnitude more investment, but could pay off hugely not only for its new car business, but across its entire product range. An off-the-shelf solution doesn’t sound very much like the Apple way of doing things, but let’s not forget that Apple buys some components from the likes of Samsung, Qualcomm, Sharp and Sony to build its smartphones, so off-the-shelf isn’t alien to Apple. Greenwood believes that this is the route Apple is most likely to take. “[Find] a tier one supply-chain company who will design and test and warrant that component for them and deliver a big box,” he said. Now is a great time to be looking for such an off-the-shelf solution. There is currently a global glut of battery manufacturing capability so you have numerous companies fighting to find outlets for their products. “There are big factories set up around the world to manufacture a lot of cells and they are not being utilized so there are good deals to be had,” Greenwood said. The reason for this glut of battery cells is simply that electric vehicles are not selling in the numbers expected, and while in the short term it may mean cheaper batteries for Apple, longer term it reflects the company's challenges. If they are like today's technology, the battery packs that will be powering Apple’s car will comprise two components. The lithium-ion cells and the battery pack into which the cells are placed. These typically come from two different supply chains, and trying to ascertain where Apple will look for suppliers is difficult. Canadian company Magna International was touted as being a possible supplier to the Apple car, as Foxconn is to the iPhone. In February, the company sold its battery pack business to Samsung SDI, meaning that Apple could once again be dealing with Samsung as a supplier. 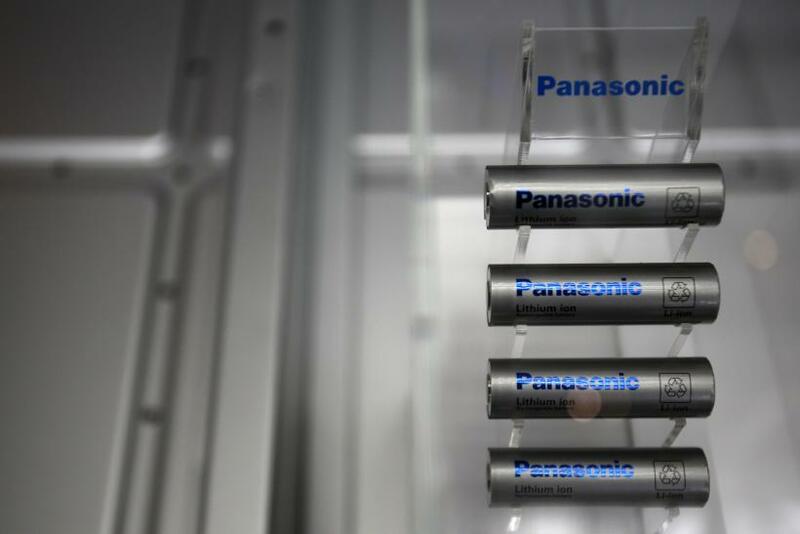 However, there are a number of manufacturers on the market and, at the moment, Panasonic is the market leader, with its 18650 cylindrical cell packs the best one available and being used by Tesla and Audi in their electric cars. But that might all change by the time the first Apple car rolls off the production line. “[Battery development] is a fast moving field from a technology perspective and a cell manufacturer is only really at the top of its game for three to four years maximum, and then another one comes along and usurps it,” Greenwood said. If Apple opts for using batteries of its own design in its cars, then Greenwood says the fastest development time to go from a blank sheet of paper to having something ready for production would be between two to three years. To date, Apple has shied away from really pushing the boundaries when it comes to battery technology in its smartphones, tablets and laptops. It relies on software to eek the most out of batteries that are shrinking to meet the ever thinner profiles of iPhones and iPad. Yes its latest MacBook did something unique when it developed a terraced battery cell, but it has never touched the technology inside the battery cell itself. To come up with something “utterly disruptive” would require a mammoth effort in terms of resources but also expertise. Hiring the right people to create a bespoke battery technology that no one else has been capable of creating is not going to be easy. To do so you first need electro-chemists. A search on LinkedIn shows that yes, Apple is hiring electro-chemists, but not for anything related to batteries. Apple is seeking such people to work on its iPad screen technology. Both BMW and Ford are currently recruiting electro-chemists to help them develop new battery technologies, and while Apple may be doing its hiring in secret, it would be tough to keep such an effort under wraps. Even tougher to hide would be the second stage of developing your own battery technology. While there are a number of companies who might be able to produce batteries to Apple’s design, it’s likely that Apple would need to go down another route. “Most of the current [battery] manufacturing facilities are set up to manufacture their own chemistries," Greenwood says. "There are a couple of independents that could do that but not in the kind of volumes you would anticipate someone like Apple would need.” If Apple is going down this route and does want to meet a 2019 launch date then it would have to be building such a facility already, and keeping that secret would be much more difficult. The idea of Apple developing a radical new battery technology may sound far-fetched, but should Apple succeed it would benefit the company’s entire product range, and could revolutionize not only the car industry but also the smartphone and tablet industries. At the end of the day, however, the most probable situation is that Apple will go down the first route and that means that rather than challenging Tesla on range, it will be leveraging its expertise in software and mobile technologies to sell its car based on connectivity and functionality. Greenwood believes the first Apple car will be more focused on urban and suburban commuting where range doesn’t need to match that of a Tesla. “60 to 100 miles real world range is enough for something like 80 percent of consumers at that point,” he said. This approach would mean that Apple wouldn’t need to invest in a network of charging points as Tesla has done with owners simply plugging their cars in overnight so they can be ready for their iCommute the next morning.